The Ovo washbasin is a shining example of what can be achieved thru design and manufacture, the sharp edge detail of this simple washbasin is a stunning reflection of it handmade, made to order status; detail that could not be achieved without the time and effort. 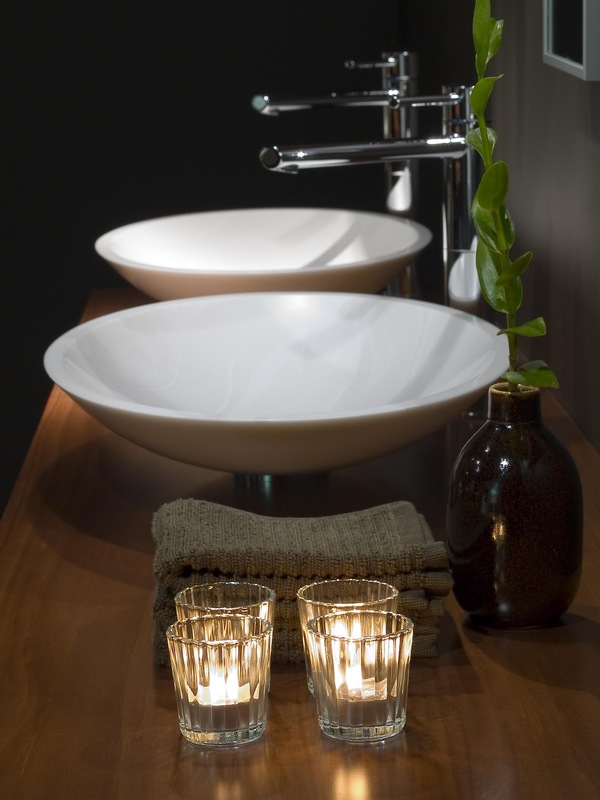 With its curvaceous form and contrasting edge detail; the Ovo washbasin exhibits a beautiful contradiction. 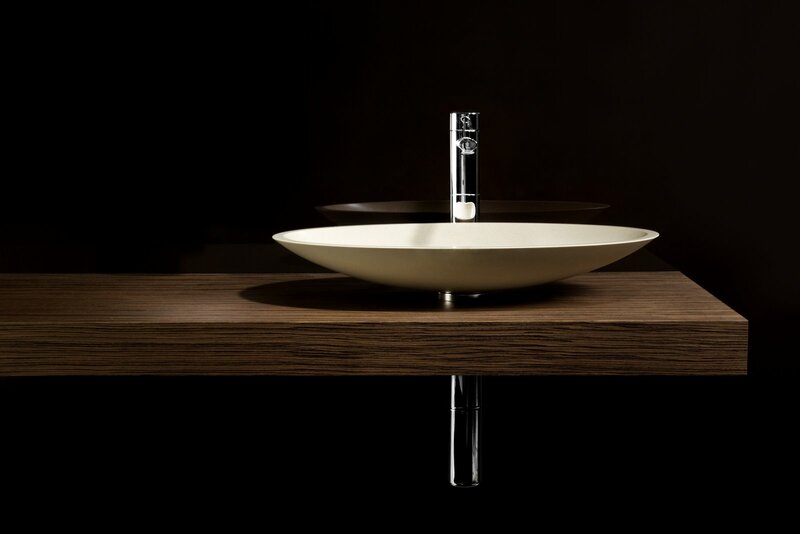 Together, this refined bowl and flip waste are designed to capture and retain water; making the Ovo basin an ideal choice for everyday bathing. 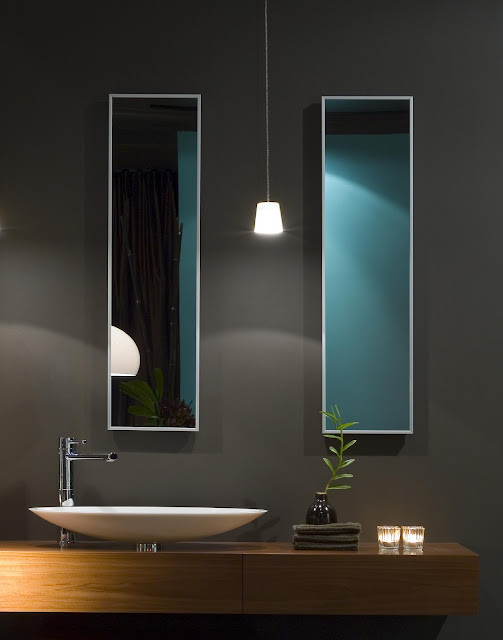 Designed to work in conjunction with Minosa(R) revolutionary water reduction device, the Ovo is the perfect choice for those seeking a refined design aesthetic along with an environmentally responsible edge. 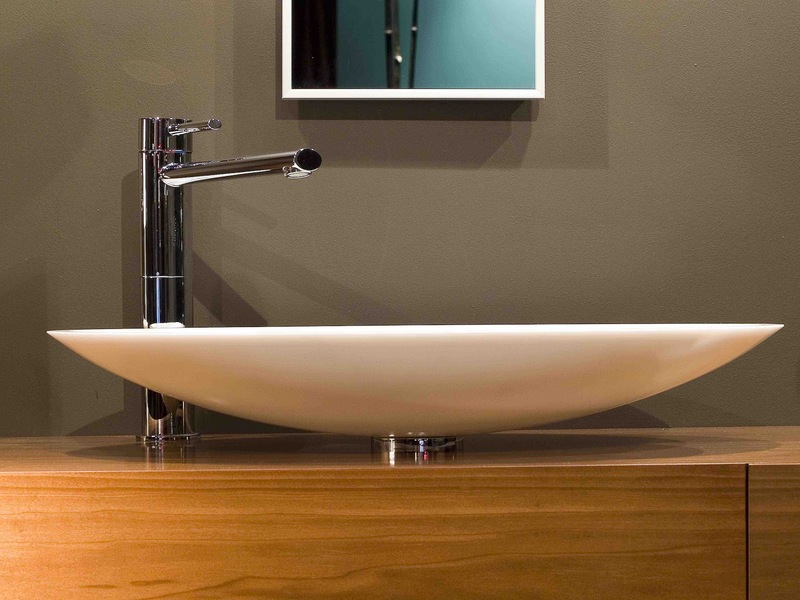 By implementing the Minosa water saving device you will not only reduce excessive water consumption but you will also limit splashing. 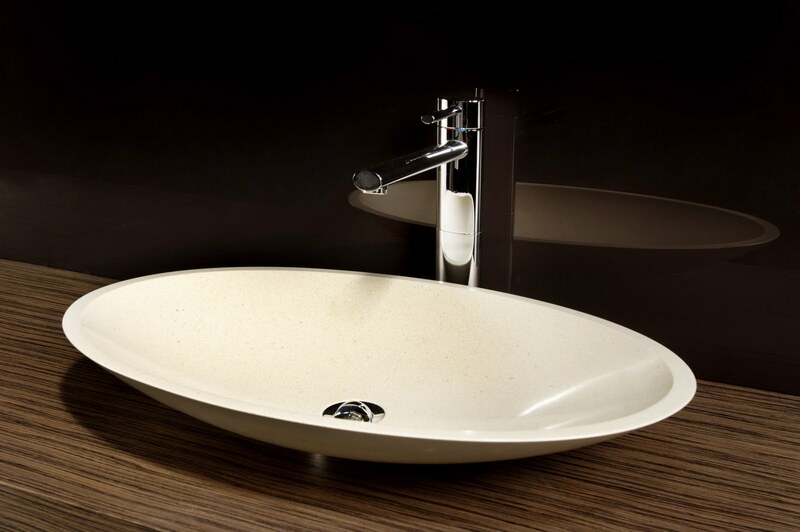 The Ovo washbasin is made from the world's leading solid surface material that is Corian™ by Dupont™ this incredible material is leading it's field not only in the way the material responds and can be renewed but also in their business practices.